Fancy a rummage through some gifts with a vintage twist this Christmas? The Yard Vintage and Makers Market is open every 2nd & 4th Sunday in November and every Sunday in December in the run up to Christmas. Diplocks Yard (73 North Road, Brighton) is just a few minutes walk from Brighton Station and is free! Open from 11am – 5pm, The Yard is an all-weather, semi-covered venue with its own Cafe. 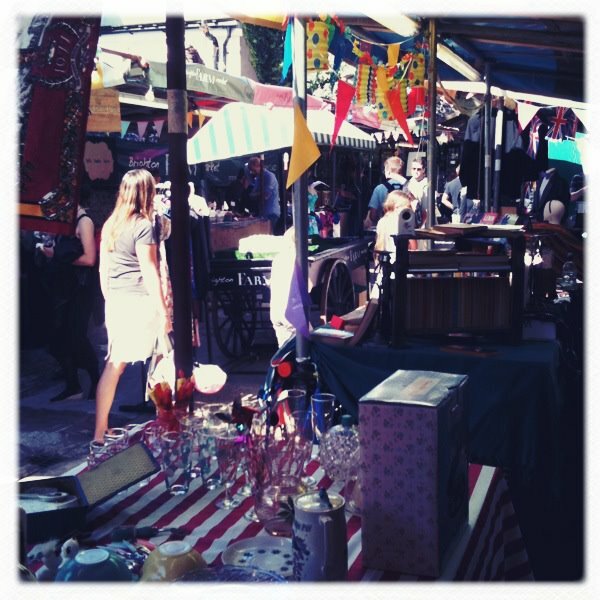 Expect to find loads of vintage goodies from clothes, jewellery, china & homewares. There are loads of stalls selling unique and unusual gifts with a vintage twist, including our very own vintage book stall House of Secrets. For up to the minute information check outThe Yard’s facebook page HERE. Hope to see you soon! This entry was posted on November 12, 2011 at 2:28 pm	and is filed under Brighton Bits and Pieces, Brighton Shopping. Tagged: brighton, brighton boot fair, brighton markets, Brighton Shopping, christmas, House of Secrets, Makers Market, the yard, vintage, vintage markets, vintage shopping. You can follow any responses to this entry through the RSS 2.0 feed. You can leave a response, or trackback from your own site.